Will Copper Break below the January Trough? 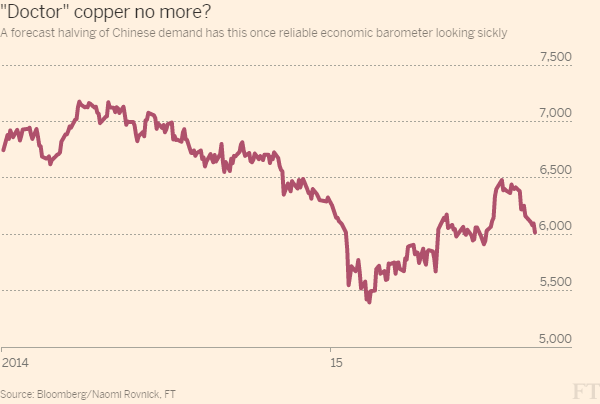 Weak demand, declining trading activities and China’s poor data are pushing copper prices towards a low last seen in mid-January. What’s next? Is the red metal falling below the January trough? “Copper price dropped to a low never seen since 2009 in January, but this may not be the bottom for 2015 if you look at the data for construction,” said analyst of Everbright Futures. The analyst explained that although home sales picked up, housing starts remained weak, presaging poor copper demand in the latter half of the year. “Falling fixed asset investment means the economic growth will be less dependent on investment, which is certainly bad news for copper market,” analyst from Guotai Junan Futures told SMM. Gold on Tuesday was inching its way back to the $1,200 an ounce, a level it hasn't strayed too far from for the better part of three months. A new research note by anlyst Simona Gambarini of Capital Economics suggests official sector buying can take much of the credit for establishing something of a price floor for the metal this year. During the first quarter this year, the World Gold Council estimates that 120 tonnes of gold were added to global central bank reserves. 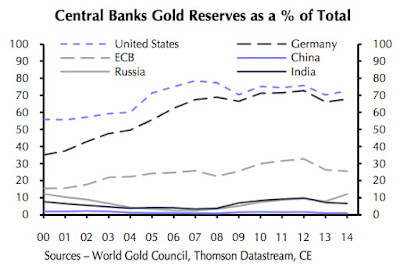 Central banks have upped their share of overall gold demand from around 2% in 2010 to as much as 14% last year and in 2013. Most developing countries still hold less than 10% of their reserves in gold, compared to 70% or more in advanced economies. Admittedly, the much higher share in the latter is mainly a legacy of the Gold Standard. 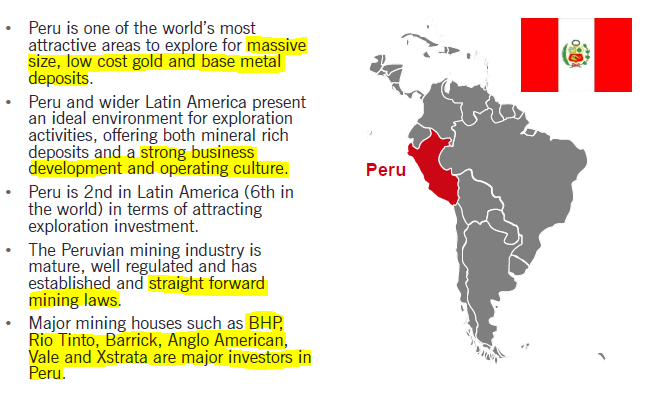 Nonetheless, an optimal share that makes the most of gold’s diversification benefits would probably be at least 15%. Even the European Central Bank (ECB), established long after the demise of the Gold Standard, holds around 25% of its reserves in gold. 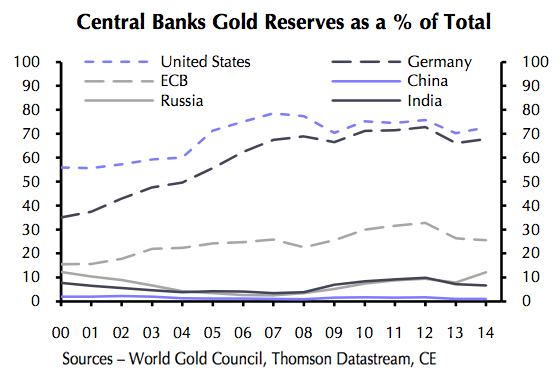 "If all central banks in the world were to hold at least 5% of their foreign exchange reserves as gold, this would require the purchase of almost 8,000 tonnes of gold,” argued Hogan and Thianpiriya. 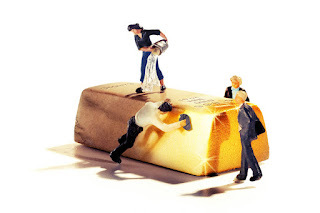 Emerging market central banks should remain net buyers of gold to bring their allocations more in line with developed countries’ – to the tune of about 75 tonnes a year, they added. While Russia's central bank has been most active recently (30 tonnes in March and another 8.3 tonnes in April), rumours about massive buying from People's Bank of China are perennial. China's gold reserves are officially put at 1,054 tonnes – a number authorities haven't updated since 2009. Gold makes up only around 1% of the country's $3.8 trillion in reserves compared to more than 70% for the United States which holds more than 8,000 tonnes of gold in vaults. ANZ expects the gold price to top $2,000 an ounce by the end of the decade while Capital Economics has a $1,400 forecast for the end of this year. 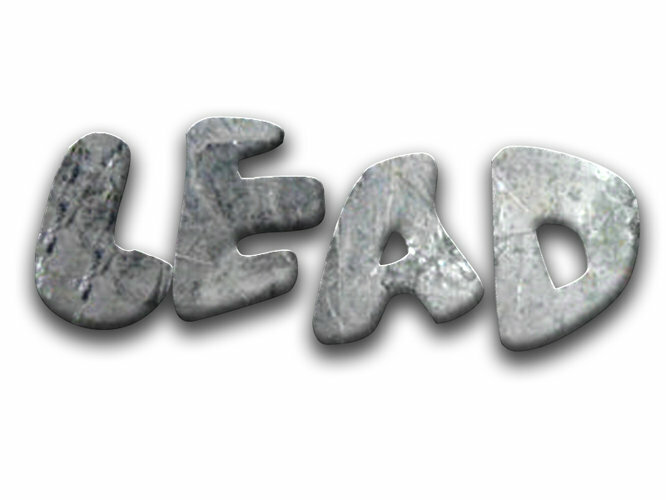 The El Nino phenomenon will cut refined lead and lead concentrate supply, proffering impetus to lead prices in Q3. China’s National Climate Center says the impact of the El Nino phenomenon will continue into autumn this year, bringing floods to south China and droughts to north China and some areas of northwest China. China’s lead concentrate output has been falling this year due to environmental protection efforts and thin profits, and is set for sharper declines due to extreme weather conditions. Mines in Yunnan, Hunan, Guangxi and Sichuan may curtail production due to strong storms, while dressing operations in Inner Mongolia will be hindered by drought conditions in summer. Data from the National Bureau of Statistics indicate combined lead concentrate output from the five regions mentioned above makes up 68.67% of the national total. Moreover, smelters in Henan, Inner Mongolia and Shandong which claims about 40% of China’s lead production will witness output declines due to high temperatures. Meanwhile, lead-acid battery market will enter peak season in summer months. 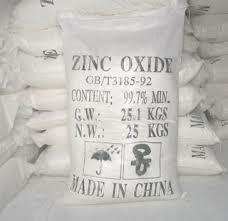 The factors will combine to boost China’s lead prices. “Worldwide, the El Nino will affect lead concentrate output of major producers, such as Australia, US, Peru and India, and the falling supply will garner considerable attention, particularly among speculators,” SMM research team added. 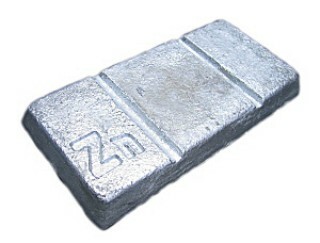 Lead concentrate output from these four countries accounts for about 57.28% of the world’s total (excluding China output), according to the International Lead and Zinc Study Group. S&P One Can Go Short With SL of 2110 For Target Of 2065/2050 n Then a Minor Correction. On March 24, we posted a rare piece on an individual stock. As we do not invest in individual stocks, they are typically not our focus. Therefore, it takes extraordinary circumstances to inspire a post on a single stock. 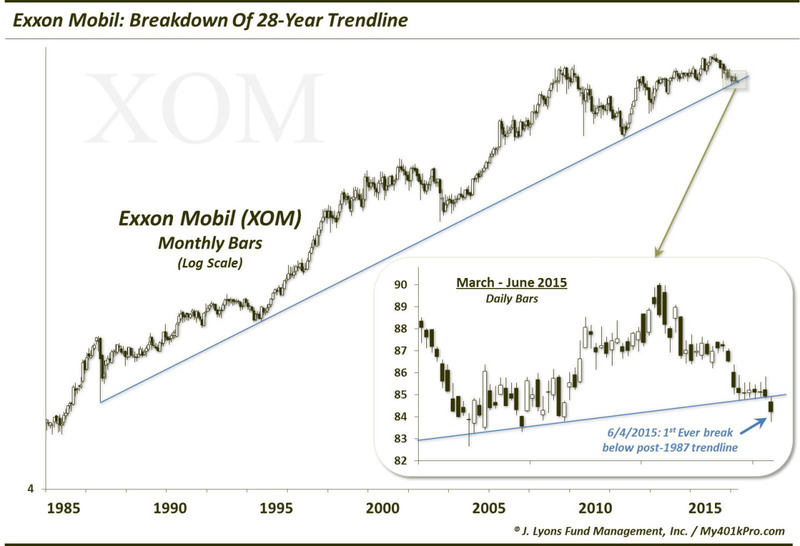 That was the case with the March 24 post which noted the fact that Exxon Mobil (XOM), the world’s 2nd biggest stock, was testing a trendline that began back in 1987. The origin of the trendline, based on a logarithmic scale of XOM, is the low point of the October 1987 crash. It then precisely connects the 1994 and 2010 lows. Interestingly, the stock stopped on a dime in March once it hit the vicinity of the post-1987 trendline. I say interestingly because, at the time, the stock appeared to be in no-man’s land. There were no obvious support or resistance levels in the vicinity. And yet, the stock stopped right on the trendline. It then proceeded to “walk up” the trendline for the next 18 days. To those who dismiss the influence of technical analysis and charting techniques on the behavior of stocks as completely random, I can hardly think of a better example of counter-evidence than this. What are the odds that a stock “respecting”, or adhering to, a nearly 3 decade-old trendline is completely random – for 18 days? Furthermore, after bouncing off this trendline into May, XOM returned to it over the past few weeks. It spent 6 straight days sitting squarely (again) on the trendline…before breaking below it yesterday. This breakdown marks the first day that Exxon Mobil has ever closed below this trendline. Now, assuming the stock’s behavior around the trendline is not completely random, and considering its capacity as the 2nd biggest stock in the equity market, the effect of this breakdown may be profound. Absent an immediate reversal back above the trendline, this loss of 28-year support would appear to open the door to more downside in the stock. Large scale speculators in gold futures sharply reduced bets on a rising price as the metal is once again rebuffed at the $1,200 an ounce level. Gold has been hovering either side of $1,200 for the best part of three months, but has not been able to break higher, stymied by a strong dollar. The greenback was trending higher on Monday with the US dollar index reaching a month high against major world currencies. The dollar is up 21% in value over the past year and is trading near 12-year highs against the yen and multi-year highs against the euro. The euro and the dollar usually move in opposite directions. As gold retreated further from 3-month highs hit mid-May large investors on the gold futures like hedge funds or so-called "managed money" last week slashed their bullish positions. In the week to May 26 according to the Commodity Futures Trading Commission's weekly Commitment of Traders data, hedge funds added to short positions – bets that prices are declining – and at the same time slashed their long positions. On a net basis hedge funds are now long 7.3 million ounces down 16% from last week, nearly 10 million ounces below levels hit in January this year, but still well off the 3.1 million ounces position held mid-March. (Reuters) -Copper prices slid back below the $6,000 a tonne mark on Tuesday, after a string of global manufacturing reports revealed only modest demand growth for metals with just one month left of the normally strongest quarter for seasonal demand. * Three-month copper on the London Metal Exchange slipped by 0.4 percent to $5,999 a tonne by 1241 GMT, after closing little changed in the previous session when it plumbed its lowest since April 24 at $5,985 a tonne. * The most-traded August copper contract on the Shanghai Futures Exchange slipped 0.6 percent to 43570 yuan ($7,029) a tonne. 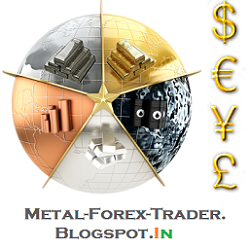 * Manufacturing activity showed few signs of picking up across Europe, Asia or the Americas in May as demand stayed stubbornly weak, highlighting the need for central banks to continue supporting economic growth. * The leaders of Germany, France and Greece's international creditor institutions agreed late on Monday to work with "real intensity" in the coming days as they try to clinch a deal in debt negotiations with Athens. * U.S. consumer spending growth unexpectedly stalled in April as households cut back on purchases of automobiles and continued to boost savings, suggesting the economy was struggling to gain momentum early in the second quarter. * Mining conflicts in Peru, a top global minerals exporter, will likely heat up ahead of presidential and congressional elections next year as political outsiders whip up anti-mining sentiment, government officials and business leaders said.